Many people have experienced problems with their jobs to the point that they want to quit and just work for them self. The issues could be with their supervisors, co-workers or just the job itself has burnt them out. More and more people are making the decision to become their own boss. What drove them to make that big step in their life? 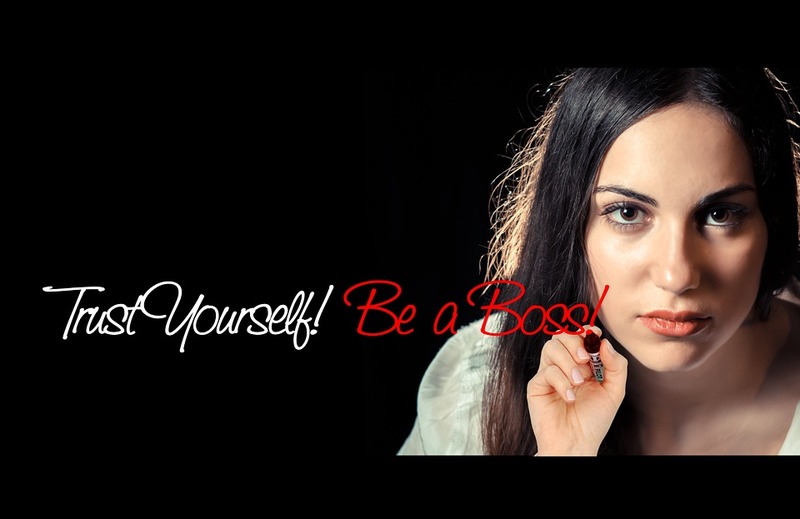 Here are the 5 top reasons why you should be your own boss. Money- One of the biggest reasons many people decide to become their own boss is because they want more financial freedom for themselves. Many times they worked their fingers to the bone to help their employees gain profit within the company, but they never actually benefited from the advantage. Those who held higher positions than them, tend to learn more financially. So, it’s because of this some people decided to take the plunge and become their own boss so they can profit from their own hard work. No longer will they work hard to make their employer money while they try to live from paycheck to paycheck. Decisions- Another good reason why people become their own boss, is to have more freedom to make their own choices for their own business. All too often, employees become incredibly frustrated because their ideas are never heard. They are also forced to do what they’re employer wants them to do, within the job, without being given a chance to explain to the supervisors that it wouldn’t be a good idea to do a particular task that way. Those who decide to work for themselves prefer the independence they have to determine how things will be run within their own company. Flexibility- When you are your own boss, you have the freedom to work how much you want and when you want, depending on the nature of the business. People, who become their own boss, can start their workday when they choose to. They no longer have to set an alarm clock to get up and be at their job at a particular time every day. They also have the flexibility to work the number of hours they want in a day or a week. When you work at a job for someone else, you have a set amount of hours you must work for them in a week. You don’t have the option of taking off whenever you feel like it. There’s also the flexibility of where you choose to work. You would no longer have to go to the job site to work if you don’t want to. If you were own boss, you could do some or all of your work at home, or maybe, if you wanted, you could do some work at the park or at the local coffee shop. More time to themselves- Those who happen to be their own boss, have more freedom to spend doing the things they enjoy. If they want to travel, they have the freedom to set time aside to do that. Some want to spend more time with their family, so they gave away the job that kept them working 12 hours a day, 70 hours a week and became their own boss. They now set their own hours each day so they can plan for family time. The sense of self-worth- Unfortunately; some employees who work for others must endure near daily “beatings” to their self-esteem. They have had constant criticisms about their work and their job performance even though they felt they were doing their very best. This tends to put a damper on the self-esteem and their feeling of self-worth. When you work for yourself, you only have one person to answer to. You; and in some cases your customers as well. The less stress put on you, the more your self-esteem benefits. Having your job performance criticised all the time only puts more pressure on you. These are the most common reasons people have for dumping their job and their boss and going to work for themselves. Having the freedom to make your own decisions, financially gain from your own hard work, having flexibility, freeing up more time for your family and learning more self-worth is all the reasons you should need to become your own boss.